We have a programme of events which are open to all members of the public. 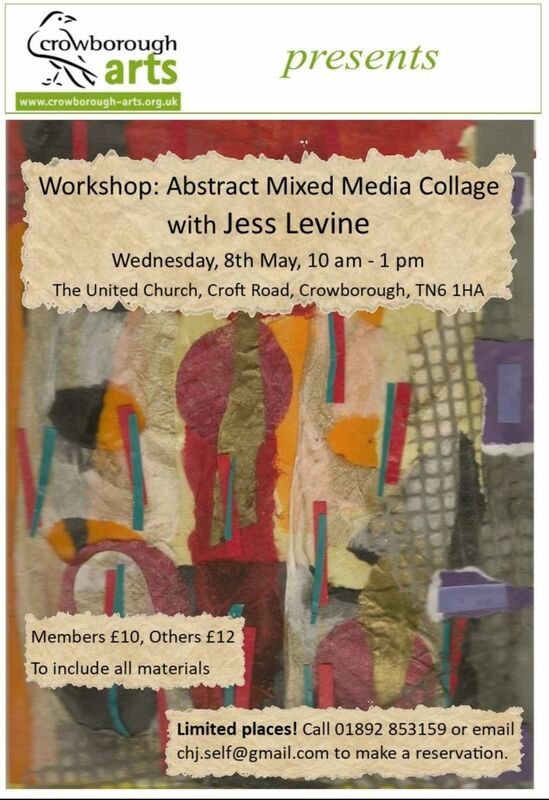 In addition Crowborough Arts are compiling a monthly programme of talks, workshops, gallery visits and networking events for members which will be of interest to all arts lovers. 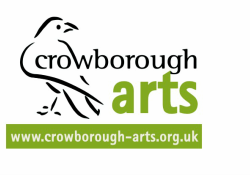 Join Crowborough Arts to receive our newsletter including our events such as Open Studios and Art in the Garden. 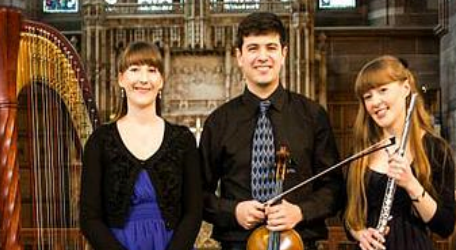 ​Peter is a singer, harpsichordist, organist and lecturer. In 'The Sound of Paint', he discusses the musical content and symbolism of scenes from a selection of works by Vermeer, Metsu, Carmentelle, Richardson, Rowlandson etc, matching the paintings exactly with period music. Peter's work has taken him all over the world, and in the last few years he has toured New Zealand, Australia and South Africa, and has presented lectures in museums and art galleries across Europe. Jess is a mixed media artist who uses a variety of materials to obtain the effects she’s looking for. Influenced and inspired by the flows & rhythms of the landscape, her creative concerns encompass colour, texture, surface decoration, composition, balance & light. She is an experienced & inspirational tutor, aiming to help students make discoveries, loosen up in their approach, take creative risks, make connections between different specialisms & techniques, and develop their own style & creative voice. United Church Hall, Croft Road, Crowborough, TN6 1HA. United Church Hall, Croft Road Crowborough, TN6 1HA. United Church, Croft Road, Crowborough, TN6 1HA. Crowborough Arts performers take to the stage with the help of some exciting guests to bring you a melange of music, drama, poetry, comedy, prose and pictures celebrating our county on the Eve of Sussex Day. 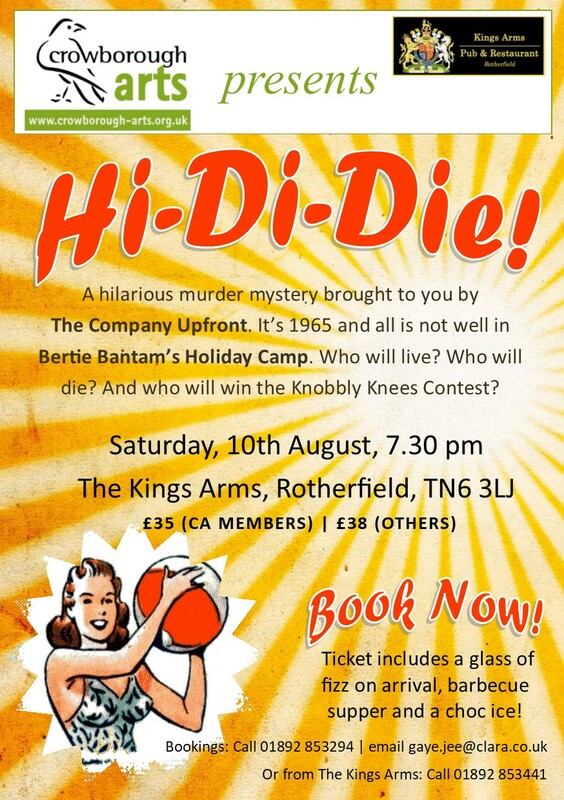 Simon is the author of over 100 novels, in both crime and comedy genres, and has written for TV and radio including After Henry and No Commitments. He has received the Crime Writers' Association Diamond Dagger and an OBE for 'services to literature'. Prior to becoming a full-time writer, he was a producer for BBC and London Weekend Television. ​Since Crowborough Arts was launched in 2011, we have run a successful programme of creative workshops. These have often been led by Crowborough Arts members. Visual arts workshops have ranged from An Introduction to Abstract Art, Japanese Appliqué to A History of Lace and Lacemaking and Calligraphy. Our literary workshops have covered Writing and Performing Poetry and An Introduction to Autobiography. Many of our members have expressed an interest in running workshops and we are always delighted to hear from anyone with new ideas. If you would like to become involved in our workshop programme we’d be happy to support you in the development and delivery of your ideas. 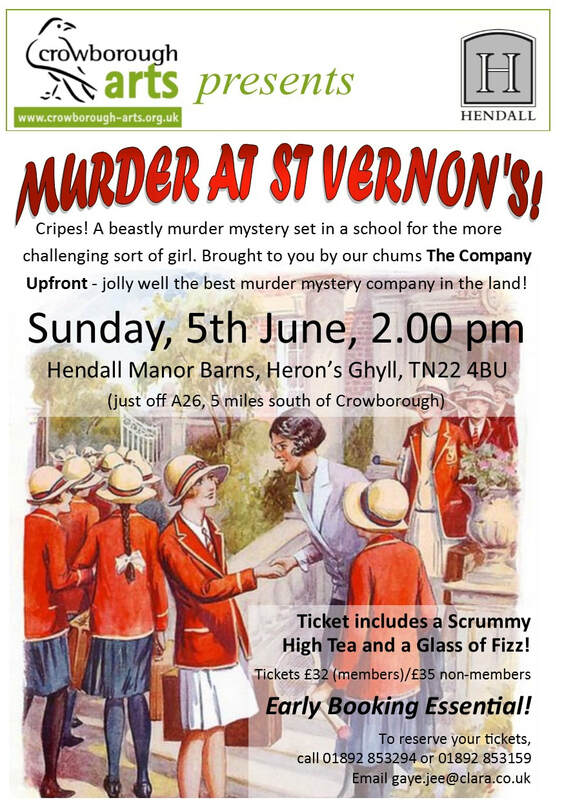 Please email Christine Roberts for further information or phone her on 01892 853159.